I forgot to blog twice this week. Thursday and Saturday. This whole week between Christmas and new years is a giant whirlpool of confusion for me. Anyway, I recently decided to add a small botanical sketch to my journal pages every morning. This afternoon I was so fed up with winter that I decided I was going to do an extra sketch today. 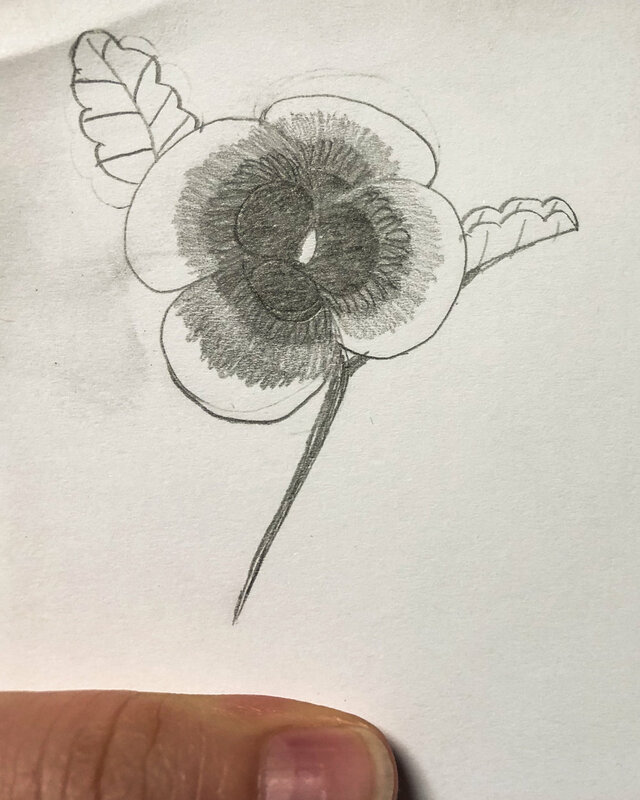 So here is the second Pansy I drew today, no I'm not showing you the first one. If I can't garden I may as well learn to draw my garden, no? Then I'll be able to pretend I'm gardening? Also, this totally qualifies as my self-portrait for today because my thumb is in it.